L’Oréal has launched what it claims is the first-of-its-kind app allowing women to virtually try on its cosmetics products using augmented reality technology. The ‘Makeup Genius’ app is based on facial mapping technology previously used in the film and gaming industries, and turns a smartphone or iPad camera into a virtual mirror that women can use to try on L’Oréal products in real time. Consumers scan a product or advertisement to detect a colour match, then can virtually try on individual products as well as curated looks suggested by expert makeup artists. These images can then be shared via Facebook. The app was devised by the brand’s new US Connected Beauty Incubator business development division in partnership with facial mapping technology company, Image Metrics. It was launched in Sydney this week by Australian ambassador, Megan Gale, along with international ambassador, Barbara Palvin. 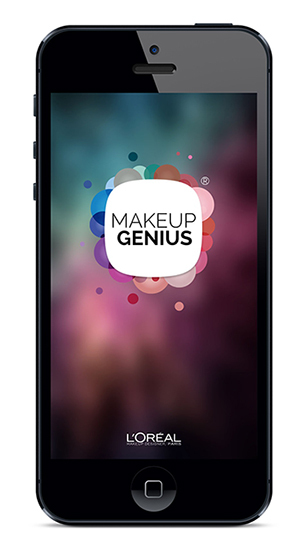 Makeup Genius is now available as a free download for both Apple and Android devices. “At L’Oréal, our ambition is to offer beauty for all,” said head of digital in Australia, Christophe Eymery, adding that the new app helped better connect the physical and digital buying experience for consumers. The facial mapping technology works by capturing 64 facial data points and 100 facial expressions, which L’Oréal claimed help it discern an individual’s lips, eyes and other facial contours. It also means the virtual makeup experience adjusts as a consumer turns their head or changes their facial expression, and supports 400 different lighting conditions. As part of the launch, L’Oréal enlisted US actresses, Eva Longoria and Julianne Moore, to showcase the ability to capture different skin tones and colours. L’Oréal Paris’ celebrity makeup artist, Billy B, also curated a number of looks for consumers. “With this app, women don’t need a professional makeup artist because they can become their own makeup designer,” he said. Makeup Genius is one component of the new Makeup Designer Paris brand platform, which will extend into advertising and packaging, L’Oréal said.